Microsoft is going into a partnership with Polar on a web app demo of the Companion Web. With this app, pages on two devices control and complement each other. 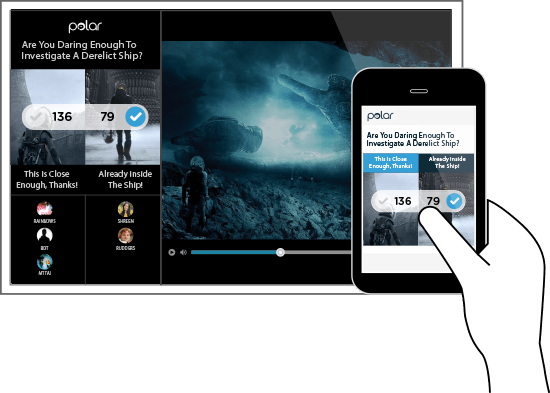 TV viewers using Polar's app are able to register their opinions of a TV show using their phones and then watch as their votes are reflected on a matching site on their TV and tablet, alongside the page ranking. The Companion Web demo may not rival Google's Map Dive experiment in terms of details, but with features like Xbox One's Snap Mode in play it does make a good case for a present time where browsers are no longer novelties in the living room.